Uber’s pick of Expedia CEO Dara Khosrowshahi as their chief executive isn’t without controversy, believe it or not. While Khosrowshahi was unanimously approved by Uber’s board, differing reports of the selection process paint it all as very messy, and suggest that Khosrowshahi was a third choice at best behind General Electric CEO Jeff Immelt and Hewlett-Packard CEO Meg Whitman. Both Whitman and Immelt described the board to The Wall Street Journal as disorganized and fractured in such a way that would hinder progress on vital things like strengthening Uber’s governance structure and settling the lawsuit over board seats between Uber investor Benchmark Capital and ousted CEO Travis Kalanick. Ms. Whitman, 61, has longstanding ties to Benchmark, which has pushed for her candidacy, say people familiar with the matter. The venture firm, which has denied it was a prime advocate for Ms. Whitman, led Mr. Kalanick’s ouster in June after a series of scandals rocked Uber, and sued him last month, fueling a public battle among shareholders that remains unsettled. ﻿Soon after pulling her name from the running with a tweet in late July, Ms. Whitman began working to get back into consideration, the people familiar with the board deliberations said. And even as she reiterated on Aug. 23 to The Wall Street Journal that she no longer wanted the job, arrangements were being made behind the scenes to formally present her vision for the company to directors on Friday or Saturday, these people said. If only one half of a fractured board is pushing hard for your arrival and just won’t give up on it, ouch. Khosrowshahi sent a memo to his employees at Expedia yesterday announcing that he’d accepted the job at Uber, Recode reports. Third choice or not, he’s what they have now. Audi, which is the biggest contributor of profits to VW, said it was replacing finance chief Axel Strotbek, production chief Hubert Waltl, human resources head Thomas Sigi and sales chief Dietmar Voggenreiter, effective Sept. 1. Audi named VW manager Wendelin Goebel, a confidant of VW CEO Matthias Mueller and Audi’s Stadler, to replace Sigi as personnel chief. Peter Koessler, the chief of Audi’s plant in Gyor, Hungary, will succeed Waltl as head of production. VW commercial vehicles sales chief Bram Schot will take over Voggenreiter’s job, and CFO Strotbek will be succeeded by Alexander Seitz, who has held positions in Latin America and at Chinese joint venture SAIC Volkswagen, according to Audi. Even if you don’t live in the immediate area affected by the Hurricane Harvey where there are reports of gas shortages and price gouging, chances are, you buy gas from oil companies that have enormous operations along Texas’ Gulf coast. A report in Texas Monthly notes that one-third of the nation’s oil refining capacity been taken offline by the storm already, and more could shut down as the hurricane’s remnants continue to wreak havoc in Texas and Louisiana. Gasoline futures on the New York Mercantile Exchange surged by 7 percent Monday, to $1.78 a gallon, the highest in two years. (Nymex contracts reflect wholesale prices, not pump prices.) Consumers could see prices increase by as much as 25 cents a gallon. However, the report does note some promising items. Valero’s two refineries in Corpus Christi only sustained minor damage that should allow them to get back into production soon. Furthermore, the lessened demand for gas after Labor Day weekend should moderate that jump in price somewhat. Even then, though, it could take weeks or months for that to get back to normal. In addition to being a big oil and gas industry hub, the six million people in the Houston area also buy a lot of cars. Automakers hoping for the industry’s first month of U.S. sales growth in 2017 will also have to give up on that thought, as sales of light vehicles for August and early September will be less than projected thanks to the hurricane, reports Automotive News. Many of these vehicles are high-profit trucks and SUVs, so automakers will feel a slight pinch, at least in the immediate term. Harvey is an unprecedented storm and it’s going to take time to fully comprehend exactly how much it will impact the automakers. Barclays analyst Brian Johnson estimates the storm will trim 100,000 vehicles off the seasonally adjusted, annualized sales rate in August. Automakers report August U.S. sales results on Friday. The sales drop will no doubt be slightly made up for later when residents who lost up to 500,000 vehicles in the storm eventually replace them. However, it’s hard to know when that will be, as many dealerships in Harvey’s path remain closed for the time being. Under a pilot program, Toyota will have its TransLog device installed in 100 rental cars operated by Singapore-based Grab, enabling the companies to analyze driving patterns as well as offer improved access to connected car services. The data will help Grab get cars available when people need them most. 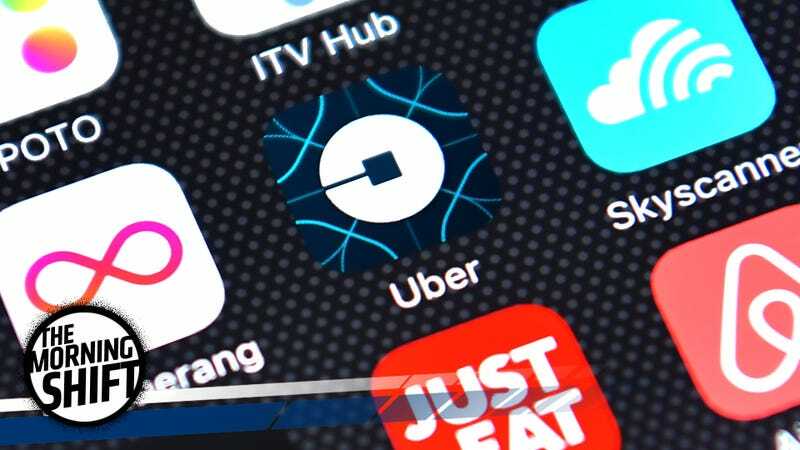 Grab is one of the key competitors for Uber in the region, as Uber is expected to focus more on the seven Southeast Asian companies that Grab operates in after their Chinese business was folded into Didi. Neutral: What do you think of Uber’s new CEO? Will he bring more changes for the good to the company, or will any progress be hindered by the split on its board for the forseeable future?